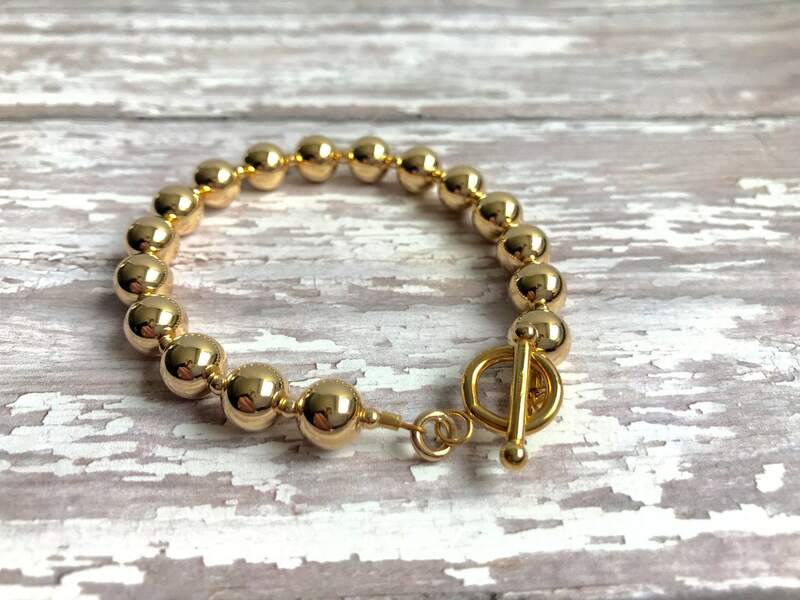 A standard in your jewelry collection--the classic gold bead bracelet. 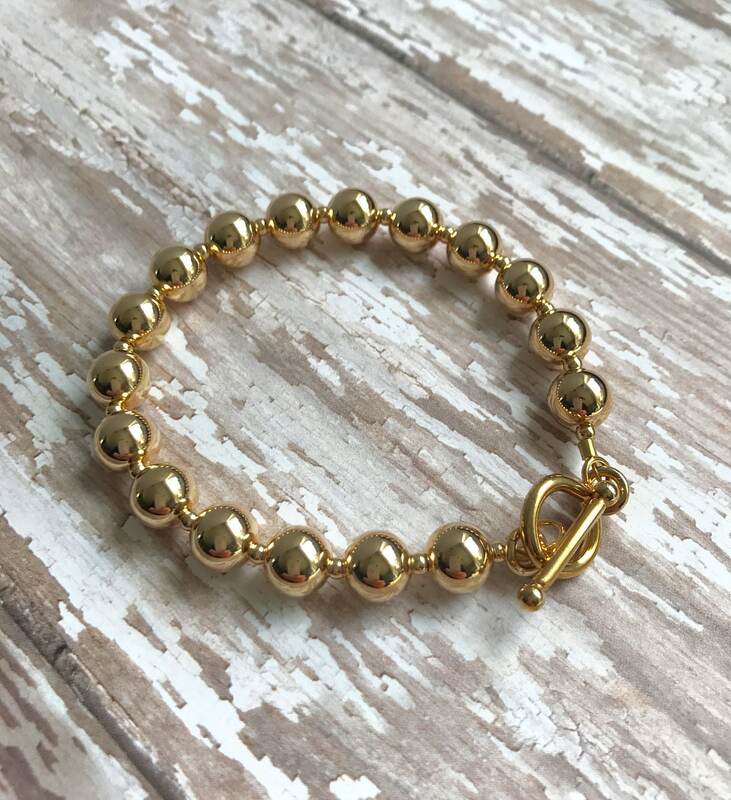 This bracelet features 8 mm solid 14 karat gold beads with tiny solid gold beads in between to give the bracelet flexible movement. 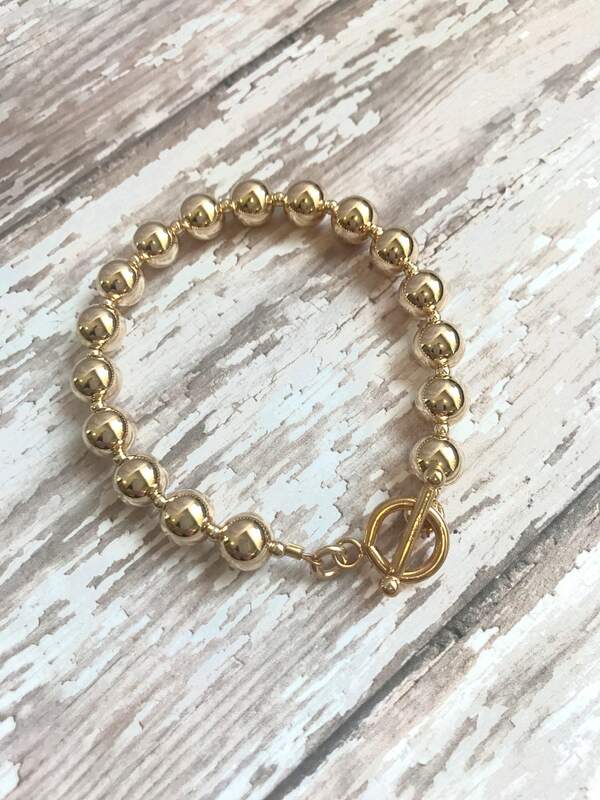 A heavy gold fill toggle is used on this bracelet because lighter, more delicate solid gold clasps out there just don't finish the piece well enough. Even though the metal of these beads is solid 14 karat gold, the bead itself is hollow and is lightweight in nature. The gold on this piece uses what is called “heavywall” beads that can resist dents better than average gold beads. Lighter weight gold is soft and will show signs of wear much sooner. 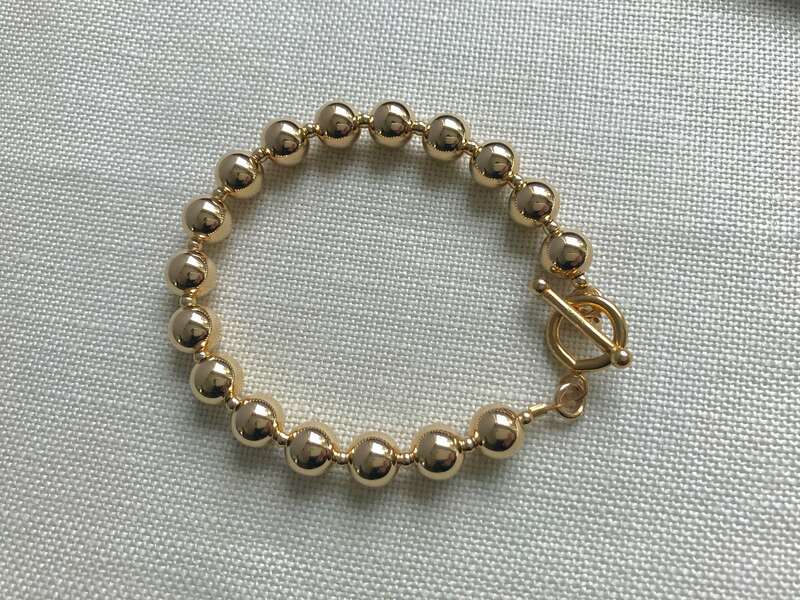 This is not to say that the bracelet is heavy, but rather, the beads are thicker than lower quality gold beads. This bracelet weighs about 4-5 grams. 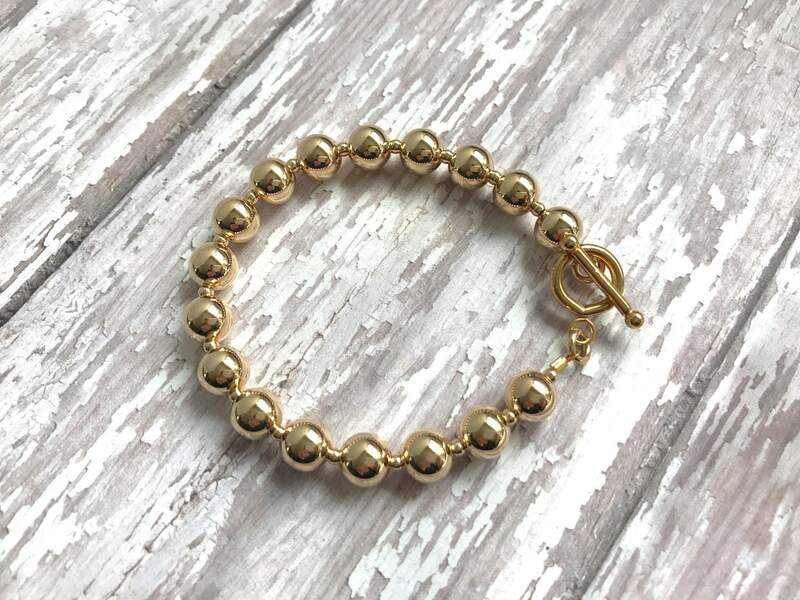 This bracelet with 17 beads fits a 6 1/2" wrist size.